Tom Riley and Rob Lucas are undertaking a huge mission, cycling all the way around the world! The 20,000 mile adventure will take them through 4 continents and over 20 countries, wow. We at Foska were very impressed by this and decided to help them along their way by supplying them with some quality gear, officially becoming the main clothing sponsor Hopefully bringing the spectators along the route a smile will spur them into helping our heroic riders! The lads are raising money for Wateraid, a quest to provide clean, running water and sanitation to some of the world’s poorest communities, a worthy cause we feel. Visit their page or their Facebook to see how the preparations are coming along, or to donate even a bit of money, they’re trying to raise £20,000! Let’s just hope they have some comfy saddles! 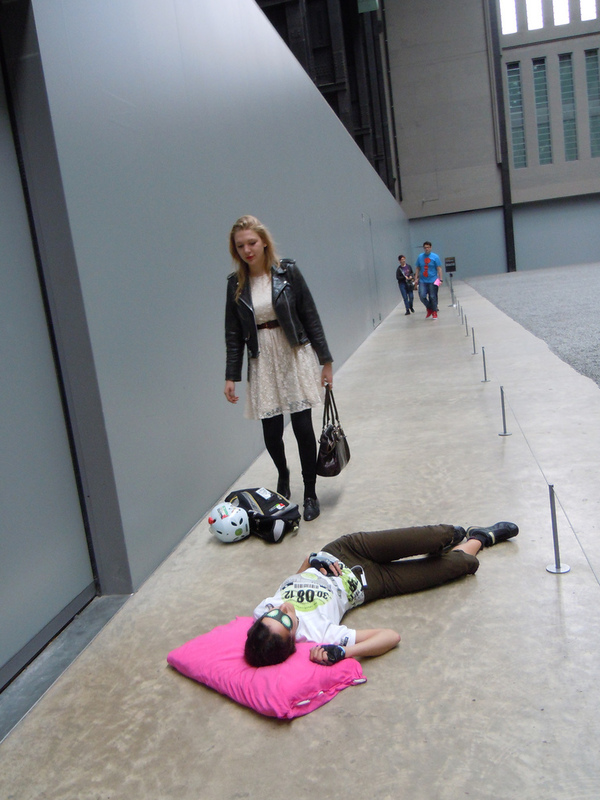 Photos of the courageous (or daft, we’re not quite sure) pair coming soon. Afternoon Foskians, last year me and dad (Foska Tony) took part in the first Great British Bike Ride, which covers the distance between Land’s End and Twickenham. This was my first ride spanning this sort of length and after cycling from Twickenham all the way down there, boy, did it not disappoint. It was hard graft but everyone had a real good time, no matter what the riding experience. Unfortunately me and Dad weren’t available to take part this year but maybe next year! Anyway, the reason I’m bringing this back up is they’re currently 3 days into this year’s ride, in the rain (oh dear), pacing from Yeovil to Winchester. Thinking of all you selfless riders! Good thing they’re all wrapped in all Foska gear, indeed. Foska Tony has just appeared in the Cave (Foska HQ), discussing something he did a couple of weeks back; The World Naked Bike Ride. Now, I’m not sure who of you know this, but Foska Tony is my dad, so this did come as a bit of a shock. Story goes that he was talking to someone about hiring a bike when he innocently asked the reason for such a hire. Foska Tony thought this to be a splendid idea and proceeded to disrobe and jump on a bike for the start of the ride. All was going well until around the busy streets of Mayfair, where between the protests of car culture and frivolity, disaster struck. Foska Tony’s chain had jumped clean off his bike, much to the amusement of everyone spectating. He tried fruitlessly to hold his bike up and return the chain for a good number of minutes, which is quite a long time when you’re standing in the buff! After drawing a small crowd the chain was successfully replaced and Foska Tony cycled back off to rejoin the ride to the sound of cheers and applause from the public. I’ve never been so proud of him, although I’m not sure what will happen to Foska’s sales if naked cycling catches on! As you may or may not be aware, the Foska office is based in Central London. A two minute walk from Westminster Abbey to be more precise. So for my lunch break I thought I’d take a strole around the last minute preparations for the Royal Wedding. What did I find? Apart from A LOT of people? John. I found John! Can anyone tell me what the hell he is saying!? 7 + 10 + 5 + 8 + 12 = 42 – The answer to the ultimate question of life, the universe, and everything! Congratulations to our winners, and sorry to those who didn’t win. Join our Facebook page or follow us on Twitter so you can be the 1st to find out about the next Foska competition! 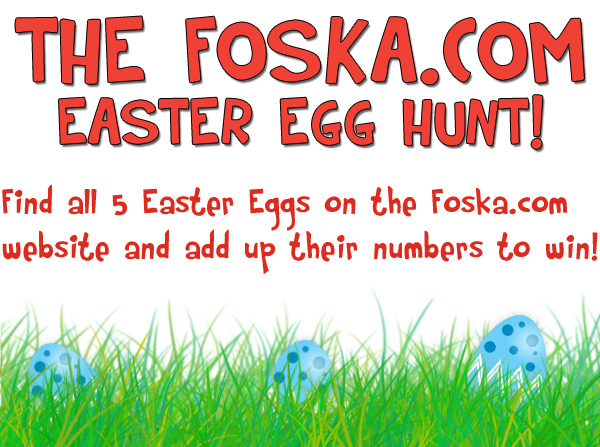 To celebrate the chocolaty goodness of Easter re-birthof Jesus Christ we are putting on an Easter Egg Hunt for the chance to win a Foska Jersey! 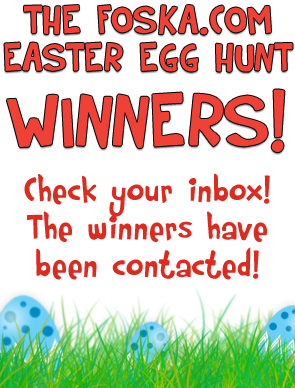 We have hidden 5 numbered Easter eggs, each with a unique number around our website, all you have to do is find them, add up the numbers and enter the competition! You can enter by visiting this page, and filling out the form. Just let us know what design you would like in what size, and we will choose 3 lucky winners at random! Anais Regeon got in touch with our pals over at iPayRoadTax.com. Below is what she had to say! 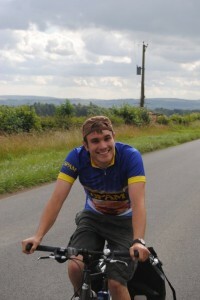 I get strange looks from people on foot and drivers at the wheel, but cyclists give me a smile and a nod, it is great! Thanks to Anais and her iPayRoadTax Jersey!! If you have any of your own photos of you wearing your Foska Jerseys then why not send them to info@foska.com. 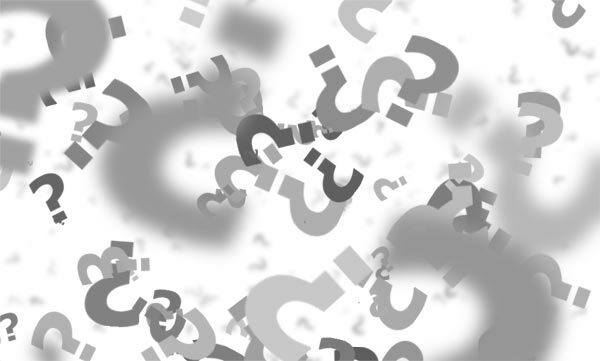 You never know, you might find yourself as the next feature on our website or email! Some good news! 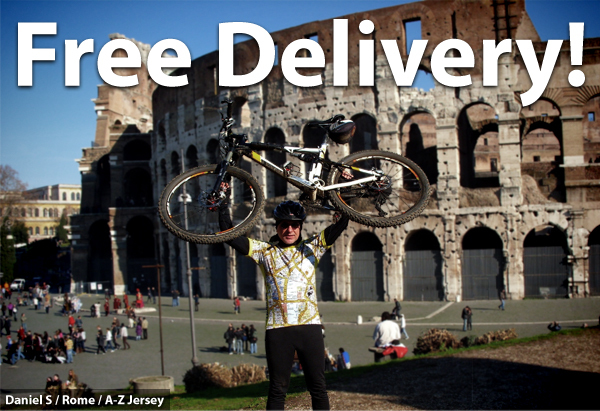 We are now offering FREE delivery on everything delivered in the UK! This means you fill your basket to the brim with Foska goodies and get first class delivery for free! But that’s not all. Oh No! This month we are giving every customer who buys a full price adult road jersey a free Foska tee! Find a Foska road jersey. Choose your size. Add it to your basket. And wallah, free Foska t-shirt! “Oooooooo! What’s that?” I hear you say. Well. You get 3 Foska T-Shirts for the price of 1! Only you don’t know which ones! Perfect if you are having trouble deciding which T-Shirt to go for. Just select your size and we’ll do the rest! It’s also your last chance to catch our new designs (which have just come into stock so if you’ve ordered one, it’s on the way!) for only £40 instead of the usual £45. SO HURRY!! !